I lost my shadow this morning. Last spring Madison developed a bump under his left eye, all of a sudden. I thought I had konked him on the head accidentally with the shower nozzle. It persisted. Tests early in the fall indicated cancer. He wasn’t in any pain. We decided not to put him through the discomfort of radiation treatment to prolong his life for only a short time. Silly dog; he never knew. He behaved just like always. Happy to do whatever was suggested, even if the highlight of his day was sleeping at my feet. We thought the cancer was growing as the lump grew and spread above his eye. It turned out to be a raging infection. He stopped eating, but never complained. We learned about the healing properties of Beggin’ Strips, a smell so strong even hand sanitizer has trouble un-stinking it from my fingers. The delicious aroma penetrated his swollen sinuses and he was on his way to recovery. In November the right antibiotics did the trick and by the end of the year, the left side of his face returned to normal. We got our old dog back! A week ago yesterday our vet suggested perhaps it never was cancer in the first place! Routine blood tests on Tuesday were all “good news!” By Wednesday he was walking funny. On Thursday he was favoring his right front leg. After shoulder x-rays on Friday he was limping. By Saturday he refused to walk without a lot of coaxing. We wheeled him outside to do his business on a dolly. At 75 pounds he was just too heavy to lift. It worked great until his tail feathers wrapped around the back wheel. Not a peep out of him. Sunday the three of us swaddled him in towels and wheeled him outside in a 28″ rolling suitcase (lid open) and then headed to the emergency clinic. We were told to make a decision in the next 48 hours, sooner if possible because the pain medications weren’t helping. A specialist was suggested, as was amputation. One last-ditch visit to the specialist yesterday was in vain. Even after a page-long list of suggested tests, the earliest they would know anything was three more days, more likely a week, and then several more weeks for treatment to get at the root of the problem, which they could not identify. After five trips to various clinics and animal hospitals and evaluations by five different doctors, we brought Madison home. After much soul-searching we decided to end his suffering. He died in our arms. It was so hard. Madison loved to blog. I know that so many of you enjoyed his unique perspective. 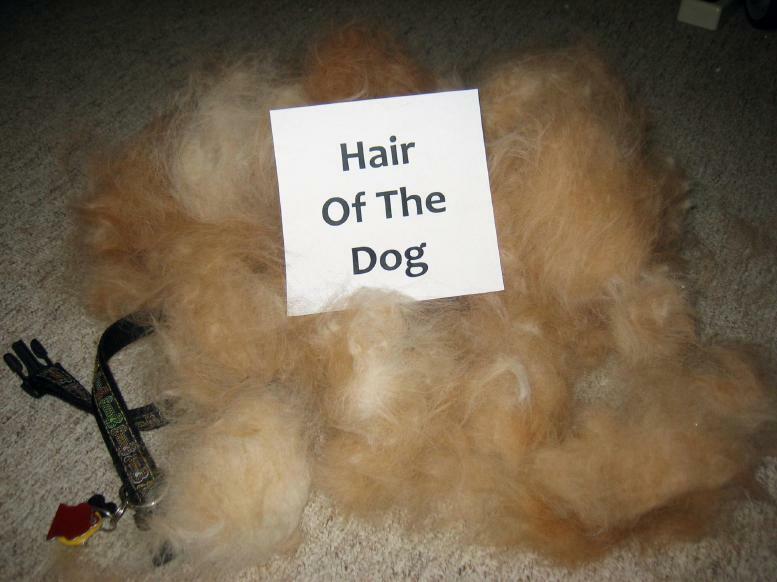 If you enjoyed his writing, please bark, woof, or yip in the comment section of the blog. If you would like to support his favorite charity, please consider a donation in Madison’s memory to the Alzheimer’s Art Quilt Initiative. I’m going to stay low for a while, trying not to look over my shoulder too may times for the faithful friend who was always there. 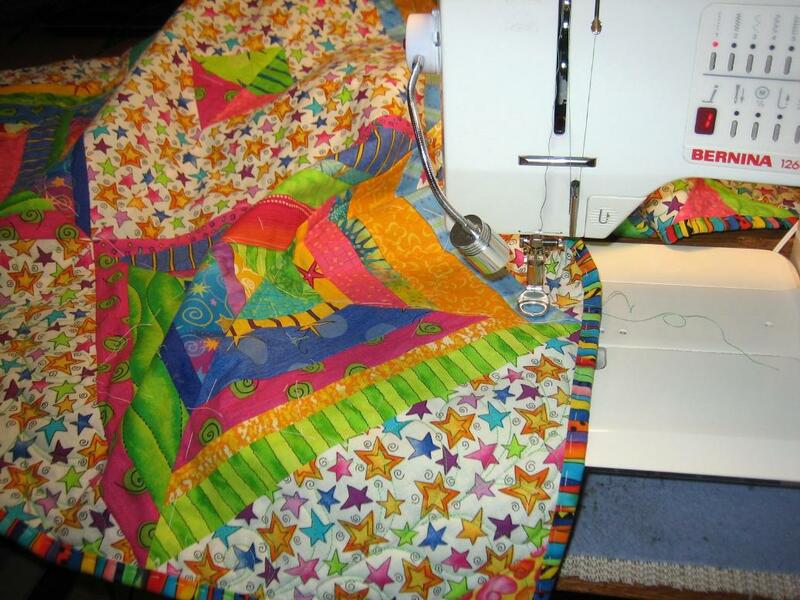 Greetings from Madison T. Dog, canine correspondent for Mommy’s blog, Through The Eyes of a Quilter. 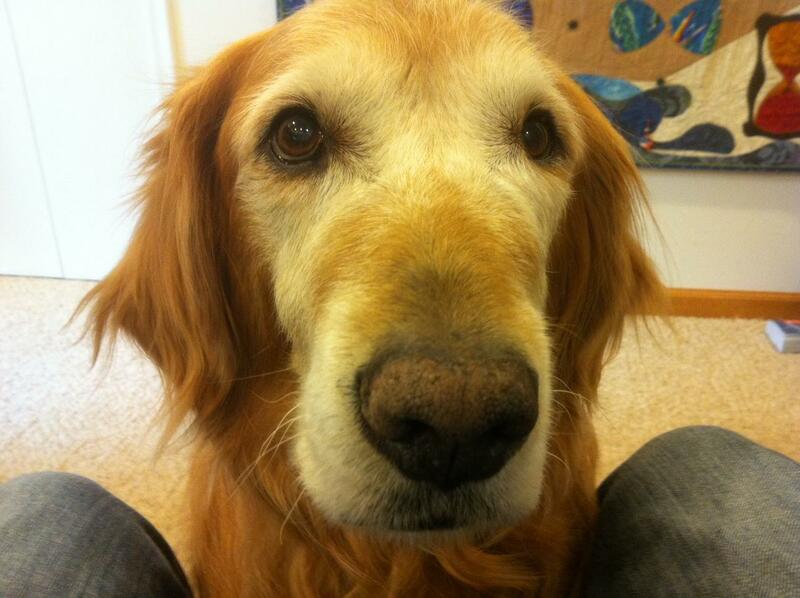 Today we’ll be looking through the eyes of a Golden Retriever. My eyes are just a little closer to the ground and I don’t play with needles. I am a Golden Retriever. 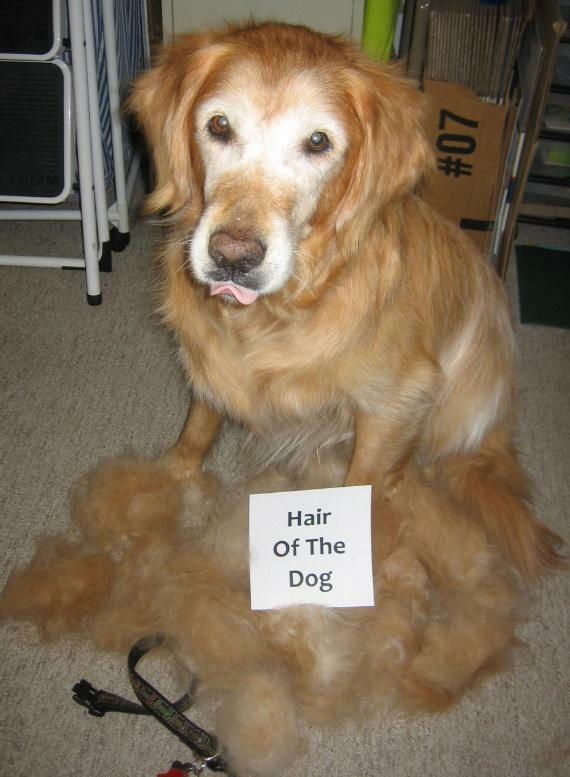 My fur is gold colored and Mommy retrieves it. Often, rather than letting me deposit my hair wherever it falls, Mommy prefers to harvest it. This is called “grooming.” She prefers this to random vacuuming. I was relieved of much of my hair yesterday. I feel considerably lighter. Mommy asked me to stand next to the pile of my own hair, lest anyone think I have met my demise and the pile of hair was all that was is of me. I have survived. She caught me mid-lick, however, but I don’t want to criticize. 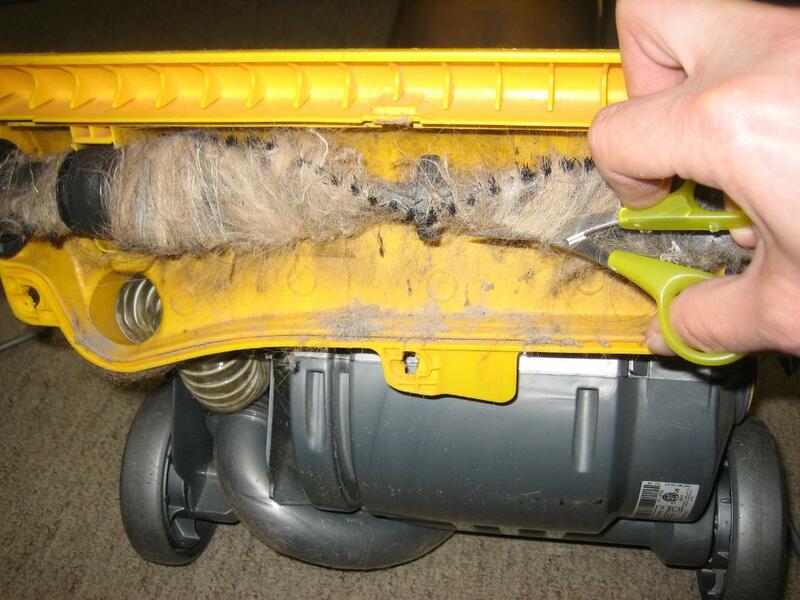 Contrary to what you might think, hair harvesting (or grooming) does not eliminate vacuuming. The leftover bits must still be sucked up. Once my hair, or stray quilting thread, wraps iteslf around the beater bar of the vacuum cleaner, use a tiny pair of scissors to cut it off. Please wash your hands before you pet me. I often blog here and say very interesting things. You should sign up here to have my posts go right into your in-box. Very convenient. 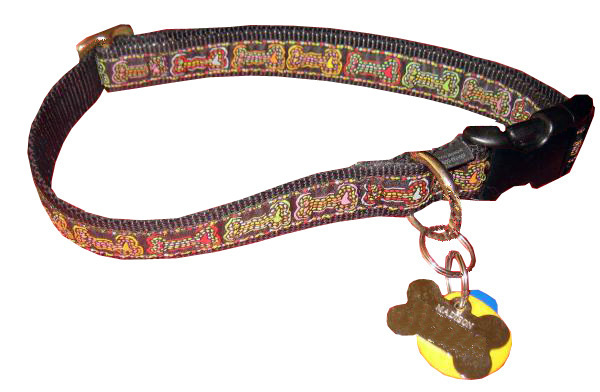 You and your dogs should also “like” Mommy on Facebook. She would appreciate that and then maybe wouldn’t have so much free time for grooming. Hint, hint. 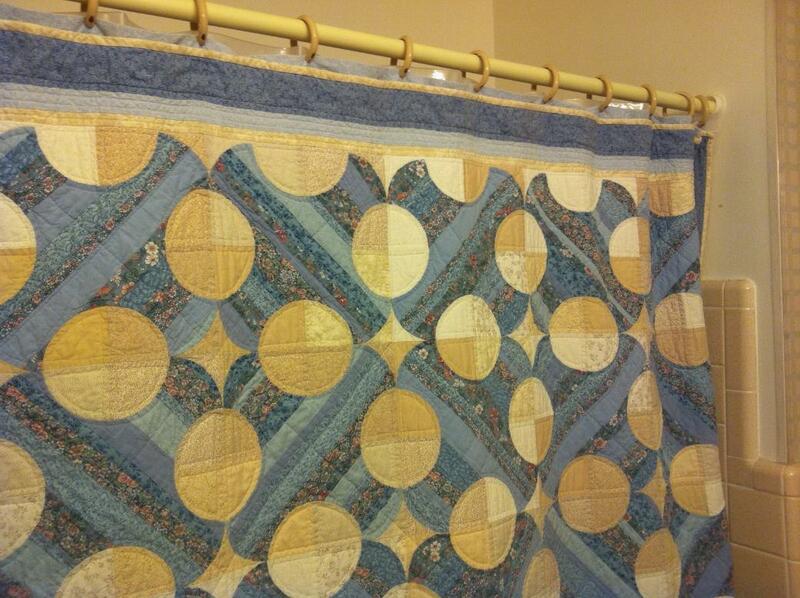 My cousin Niki finished her quilt top back in 2007 and she did a great job. 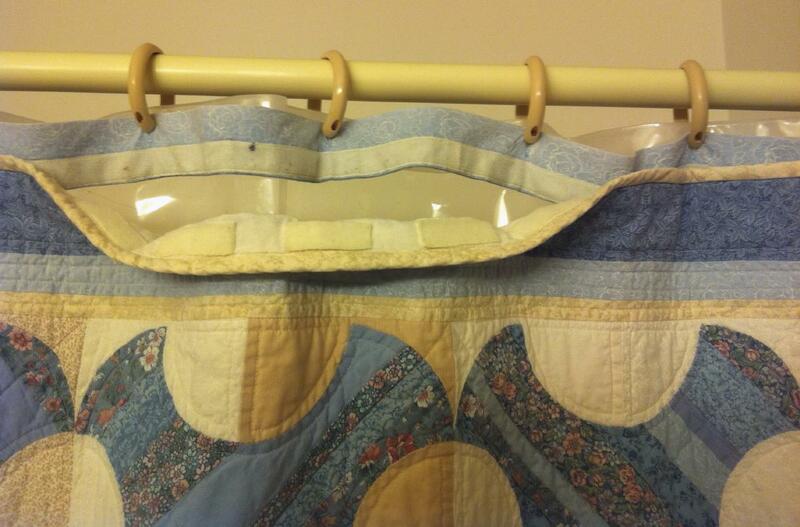 It took us more than three years to find the time to get her top quilted. That’s because we live halfway across the country from each other. I’m in Michigan; Niki is in Florida. On Friday, the stars and planets aligned and Niki and I spent the better part of the day with Corol from Quilters’ Choice in Jupiter, Florida. 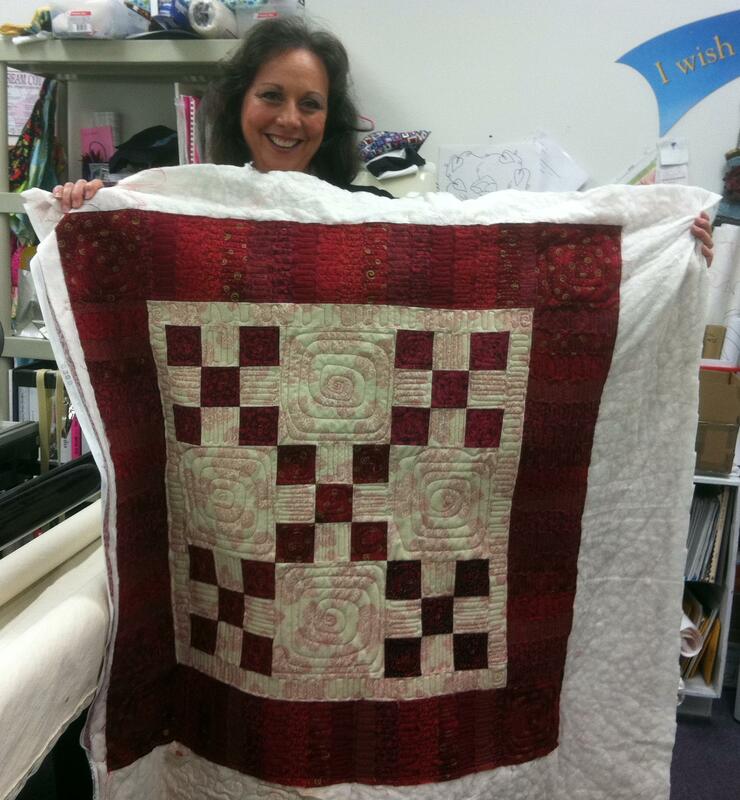 She guided Niki through the process on their Gammill longarm quilting machine and THE QUILTING IS DONE! Three cheers for Niki! She’s one of us now. On to the binding! Estimated completion time: 2014.